Yggdrasil has recently been unable to do any wrong. This developer has been signing new content deals left, right and centre and they have managed to really push their unique software offerings for online casinos wishing to make their games content more socially oriented. 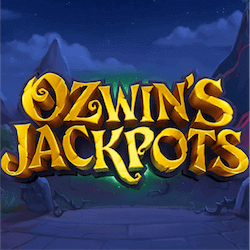 Their latest slot release is the magical Ozwin’s Jackpots. With a healthy 98,8% RTP this slot certainly promises some rewarding action. You can unlock 160 000 coin jackpot but more importantly there are also 5 progressive jackpots to be won. This sorcery themed slot follows the young apprentice sorcerer Ozwin’s quest to prove himself to his master. Since this is an Yggdrasil slot it goes without saying that the graphics are of an incredible quality with beautiful backgrounds and reel symbols that look like hand painted pieces. The musical score here perfectly matches the visuals and creates a Disney esque slot experience that will surely leave you with a smile on your face. This slot is not for high rollers however. There is a maximum wager limit of 40 per spin. There are different progressive jackpots all arranged in ascending order. The jackpots start with the Novice jackpot and increase in value to the Archmage jackpot. Each jackpot is related to special coloured orbs that players can win in the base game. The corresponding jackpots will pay out when you collect 5 matching orbs. The spellbook icons are the bonus symbols. When 3 land anywhere on the reels it will whisk you away to a room with 18 spell books. These spell books will either award you cash prizes or award you with special progressive jackpot crystals, 5 of which can award you a progressive orb. You can win up to 50x your staked wager in prizes but when you uncover the evil spell hidden in one of the books this feature will end. You can also win 50x to 500x your staked wager if you trigger the pick me bonus game with 4 to 5 scatter symbols. The free spins feature can be activated by collecting 56 matching crystals in the spell books bonus game, which will award you 10 spins. You can also activate it with 3 of the free spins bonus symbols. This will give you 10 free spins with a 3x win multiplier active.